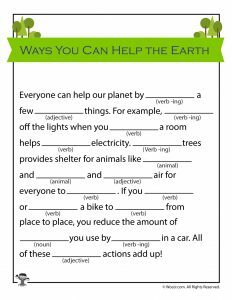 Our printable mad libs are a perennial favorite around here. 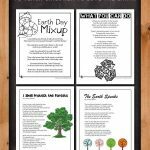 So this year we’re adding a bunch of new sets around lesser known holidays and year-round topics! 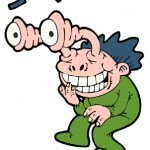 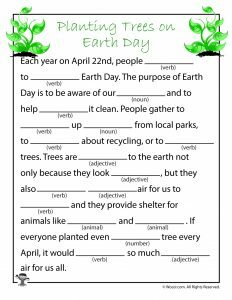 Today we’re sharing a set of Earth Day mad libs to make some great funny stories about recycling, the planet, and planting trees. 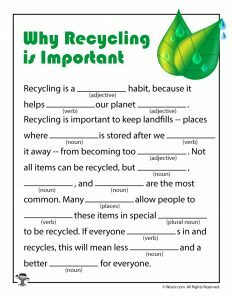 Mad libs are great for practicing parts of speech in a way that always engages both kids and adults. 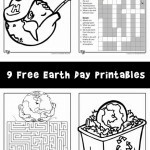 And as with all of our printables – we hope you print these out on recycled paper and recycle the paper when you are all done! 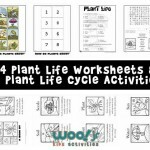 You might also enjoy our renewable energy lesson plan and worksheets!